What’s the Big Deal About Our FSC® Certified Decking Anyway? When it comes time to purchasing decking material, you need to make sure that you buy from a company with a commitment to sustainable forestry. AdvantageLumber.com is fortunate to be one of those companies that are authorized by the Rainforest Alliance™ to sell FSC® certified decking. This entry was posted in Eco-friendly wood, FSC Wood, Green Building, LEED Certification on December 5, 2013 by Mr. Ipe Hardwood. 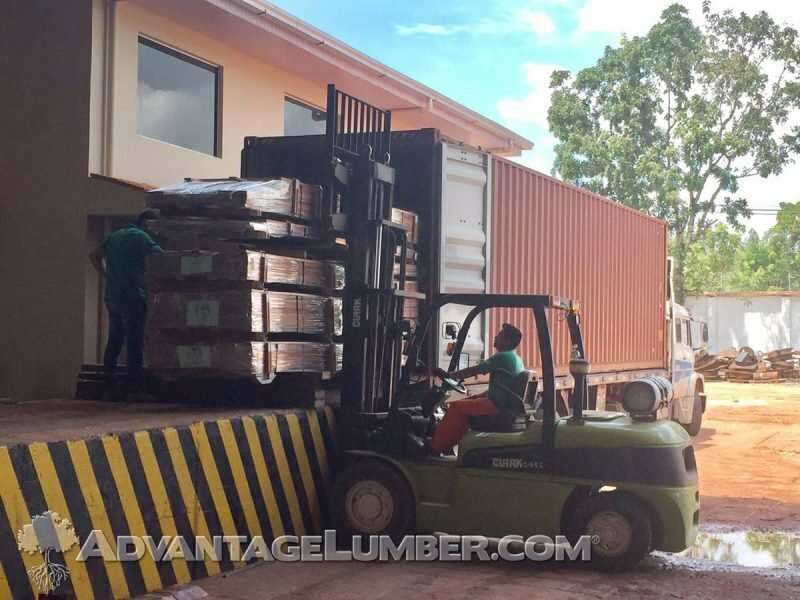 At AdvantageLumber.com, we pride ourselves in supplying the best exotic wood available from the well-managed forests in Brazil. While all of our wood is responsibly harvested, we also offer FSC Certified materials. Many contractors, homeowners, and resort directors want to build beautiful wood decks while also attaining LEED credits for their green building project. One project that utilized our FSC® certified Massaranduba was contractor Fermin Acevedo. His client wanted wood that could be traced back to where it was felled, to ensure it was sustainably harvested. Beauty and color, as well as durability and dependability were the main qualities that were taken into consideration when choosing the decking material. FSC® Massaranduba met all the requirements that Fermin wanted and he found it to be one of the easiest woods to work with. Find out more about the factors that Fermin took into account when buying hardwood. See for yourself how AdvantageLumber.com™ helped Fermin with his project. This entry was posted in Eco-friendly wood, FSC Wood, Wood Decking and tagged FSC Decking on October 24, 2013 by Mr. Ipe Hardwood. The Kinnear Centre is the perfect example of how modern style meets artistic beauty. 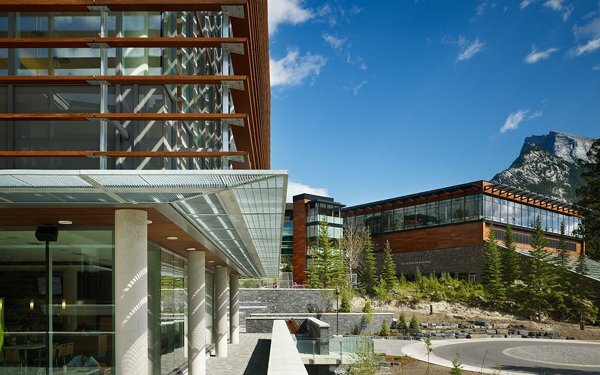 Located in the gorgeous Bow River Valley in Banff National Park, The Kinnear Centre is a shining example of how modern design, and classic materials can create a stunning facility. The Banff Centre was founded in 1933, and is the largest arts and creativity center on the planet. It consists of several different facilities all centrally located around The Kinnear Centre. Also known as the “heart of the campus” this building was developed to be a learning and meeting center for the arts. Since it opened in 2010 The Kinnear Centre has hosted a wide array of programs and conferences. Whether it be the arts, studying, or exhibits, this building has it all. Jack Diamond was the architect that led this project. He wanted to develop an idea that would bring together a functional and charming presence. He opted for Ipe to add accents to bring the warmth and beauty to this mountain side environment. Building a facility made entirely of glass and steel would not look as picturesque as a building that has incorporated organic elements to blend in with its natural environment. With all of those open windows, something needed to be created that would block some of the direct sunlight, while still allowing amazing views of the landscape. Sun-breakers were made out of Ipe and were installed at an angle to provide shade, but not disrupt the views. The Banff National Park has a subarctic climate. What this means is, it’s extremely cold for the majority of the year, and when it does warm up, it’s usually pretty mild. This area receives 18.6 inches of precipitation annually, and up to 92.2 inches of snow a year! All of this snow and moisture has to go somewhere, but it’s not going to damage the Ipe! This is another reason why Ipe was chosen, because of its durability and dependability. Ipe has an extremely tight grain that keeps moisture from entering the board. This resistance from water penetration keeps moisture from freezing inside the board, so cracking and splitting isn’t even a concern. This exotic hardwood is known for its reliability, resistance to water intrusion and termite attacks. So think about it, if Ipe can survive for year in a subarctic climate, then there is no reason to doubt it wont perform in your own personal application. This entry was posted in Eco-friendly wood, FSC Wood, Ipe Wood on June 19, 2013 by Mr. Ipe Hardwood. Lumber companies have gained a bad reputation over the years. Many people believe that since hardwood decking products originate from the Rainforest that today’s lumber companies do more harm than good. If you spend the time to read up on recent reports from organizations such as the Food and Agriculture Organization of the United Nations, you’ll learn how sustainable forestry efforts actually do more long-term good for indigenous communities as well as the forest as a whole. It might seem illogical that cutting down trees is actually positive for the Rainforest. However, the data compiled by multiple regulatory and oversight agencies show that logging’s impact on deforestation is dwindling compared to two other industries. In fact, over 80% of deforestation is due to the slashing and burning practices of cattle ranchers and farmers. At AdvantageLumber.com, we see to it that the forest maintains its value. By working with the mills directly in Brazil, we see to it the trees come from well managed areas, and aren’t logged carelessly. We also sell certified FSC decking materials and pride ourselves in our sustainable practices with our products. This entry was posted in Eco-friendly wood, FSC Wood, Green Building, News on October 22, 2012 by Mr. Ipe Hardwood. The Forest Stewardship Council is the world’s foremost and internationally recognized forest certification. The Forest Stewardship Council ensures forests around the world remain vibrant and healthy by rigorously monitoring forest operations to ensure sustainable lumber harvesting. FSC forest trees are individually selected for cutting and then replanted in bio-diverse manner in order to maintain the health and longevity of the forests. By being FSC certified, AdvantageLumber.com demonstrates its solid commitment to responsible forest management practices that protect and enhance the diverse ecosystem of the forest land. By purchasing products with this certification, you are guaranteed that the wood comes from forest land that is managed in a manner that is environmentally and socially responsible. Why would you want to use FSC certified wood products? You’ve probably noticed the FSC logo on catalogs, books, and other paper and wood based products. Responsible and well-educated homeowners lead the way in asking for environmentally friendly products. 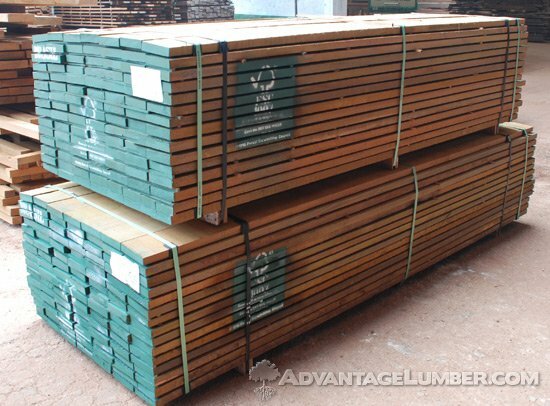 Like all the wood we sell, the lines of AdvantageLumber.com FSC decking are responsibly harvested from managed forests. By taking a friendly approach to the way we live and work ; we protect our planet for our generations to come. Wildlife, soil, non harvested plants are all protected and will flourish sustainable harvested forests. If you’re interested in purchasing sustainable decking, contact AdvantageLumber.com today at 1-877-232-3915. NOTE: FSC wood decking is often more scarce than our normal inventory of sustainable hardwoods. This entry was posted in FSC Wood on October 19, 2011 by Mr. Ipe Hardwood.